In the world of fiduciary investment standards, the major development of the past several years is the Uniform Prudent Management of Institutional Funds Act (UPMIFA)—now the law governing investments by not-for-profit corporations in New York and 46 other states. New York has its own version of UPMIFA, enacted on September 17, 2010; it is sufficiently different from the uniform law that it has been given its own acronym (NYPMIFA) and has spawned a small industry of lectures, seminars, and publications aimed at interpreting it and helping institutions in New York figure out what they need to do to ensure compliance. 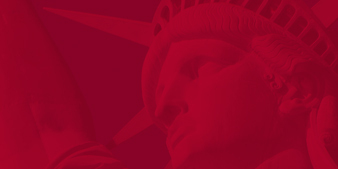 There are three major aspects of NYPMIFA: (1) standards governing the investment of “institutional funds,” (2) standards governing the appropriation of “endowment funds,” a sub-class of institutional funds, and (3) standards for modifying donor-imposed restrictions on the use and investment of institutional funds. This edition of Professional Notes focuses on the standards governing the investment of institutional funds. The next edition will consider the other major aspects of NYPMIFA. A key to understanding NYPMIFA is to recognize that it did not alter the fundamental investment responsibilities as defined by UPMIFA. The modifications enacted by New York’s Legislature were at the edges of UPMIFA, and the version of the uniform law as adopted in New York is, at its core, essentially the same as it is in other states (which, for the most part, adopted UPMIFA in its original form). In other words, anyone familiar with UPMIFA will discover that the New York version is different in its details, but not its fundamentals. A second key to understanding NYPMIFA is to realize that its substantive standards governing a nonprofit board’s fiduciary duties for the management of institutional funds are essentially the same as they were under prior law, New York’s version of an earlier uniform law, known as the Uniform Management of Institutional Funds Act. That is, NYPMIFA provides more specific guidance than prior law concerning the process for investing by a not-for-profit corporation—creating some traps for the unwary—but its “prudent person” standard does not appear to create a higher substantive obligation of fiduciary conduct than the “prudent man” standard of prior law. In general, develop an investment strategy appropriate for the fund and the organization. In all likelihood, a well-functioning and financially sophisticated board or investment committee may find little in its investment practices that it needs to change other than taking some procedural steps, such as (a) improving the organization’s integration of its processes for endowment investing and endowment spending and (b) improving the documentation of those processes. We discuss both topics at the end of this article. Organizations that have traditionally lacked a sound investment process now have the benefit of specific statutory guidance about what their boards, committees, staff, and outside managers are expected to do in order to demonstrate a prudent process. The new law should provide such organizations with the impetus to regularize and professionalize the way they make investment decisions. NYPMIFA is applicable to “institutions,” a term that is defined to include New York not-for-profit, educational, and religious corporations as well as certain wholly charitable trusts. Most wholly charitable trusts, however, fall outside of NYPMIFA as a practical matter, due to the definition of “institutional fund,” below. Notably, the definition of “institution” is not limited to charities. As a result, nonprofit social clubs, trade associations, and social welfare organizations formed under the New York Not-for-Profit Corporation Law (NPCL) also generally are subject to NYPMIFA. The investment-related responsibilities set forth in NYPMIFA apply to all “institutional funds,” a term that is defined broadly as a “fund held by an institution,” subject to three specific exclusions: (a) program-related assets, (b) funds held for an institution by a trustee that is not itself an institution, and (c) funds in which a beneficiary that is not an institution has an interest (other than an interest that could arise upon a violation or failure of the purposes of the fund). The term “institutional fund” includes endowment funds but is not limited to them. As a practical matter, the first exclusion—for program-related assets—means that assets such as (a) buildings or facilities being used by the organization and (b) collections or archives are excluded from the NYPMIFA prudence standard—but not from the general obligation of prudence under other provisions of law. A museum’s art collection still must be managed prudently, but not under the specific standards set forth in NYPMIFA. The second exclusion means that wholly charitable trusts of which an institution itself is the trustee are subject to NYPMIFA, but trust funds with an individual, bank, or trust company as trustee are outside the ambit of NYPMIFA. The third exclusion means that NYPMIFA does not apply to charitable lead trusts, charitable remainder trusts, pooled income funds, or charitable gift annuities. However, wholly charitable trusts with individual or corporate trustees are subject to similar prudent investor rules under New York’s version of UPIA, as are charitable lead trusts, charitable remainder trusts, and pooled income funds. Charitable gift annuities in New York are governed by a prudence standard imposed by the New York Insurance Law. If an institution is serving as trustee of a charitable remainder trust after the non-charitable interests terminate, the trust will be considered an institutional fund during the winding up period before the trust corpus is formally paid out to the institution. Because the term “fund” is not defined, it appears that any assets not fitting into one of the exclusions should be treated as institutional funds. Thus, accounts held in cash or cash-equivalents to pay operating expenses or fund grant distributions appear to be institutional funds subject to NYPMIFA. Similarly, it appears that real property and tangible personal property (e.g., works of art) held for investment purposes (rather than for use in furtherance of institutional purposes) should also be viewed as “institutional funds” and managed in accordance with NYPMIFA standards. At the same time, NYPMIFA contemplates that the duration and purpose of an institutional fund will be relevant to the manner in which it is invested, as discussed below. This formulation of the standard means that there is now an express statutory rule establishing that outside investment advisors and investment managers, like board members and committee members, share in the fiduciary obligation of prudence. Investment management and advisory agreements should be monitored for language that improperly seeks to disclaim or modify this statutory responsibility. In keeping with long-standing principles of the law governing prudence, NYPMIFA provides that compliance with its standards “shall be determined in light of the facts and circumstances existing at the time a decision is made or action is taken, and not retrospectively.” Hindsight may be 20/20, but it is not the measure of prudent conduct by a fiduciary. an asset’s special relationship or special value, if any, to the purposes of the institution. Trust law norms already inform managers of nonprofit corporations. The Preamble to [UPIA] explains: “Although the … Act by its terms applies to trusts and not to charitable corporations, the standards of the Act can be expected to inform the investment responsibilities of directors and officers of charitable corporations.” Trust precedents have routinely been found to be a helpful but not binding authority in corporate cases. In reviewing their past deliberations, many boards or investment committees will conclude that all or most of the eight NYPMIFA factors (including the “new” ones) were already being taken into account—particularly if a board or committee was being attentive to asset allocation; the after-tax return on investments that generated unrelated business taxable income or had other tax costs associated with them; the ability of programs and fundraising (as distinct from investments) to generate operating revenue for the organization; and the nonfinancial value associated with certain assets (e.g., in terms of being both an investment and a tool for accomplishing a mission-related purpose). NYPMIFA, like UPMIFA, seems to allow a donor to relieve an institution of the duty to consider any one or more of the eight enumerated factors. This provision would be relevant if, for example, the donor insists on requiring a specific asset allocation within his or her fund (say, a 90% allocation to U.S. “large cap” equities), in which event the organization probably should insist on relief from some of the NYPMIFA factors. Of course, an institution’s preferred course of action will often be to avoid any limitations at all on its investment prerogatives. NYPMIFA assumes that prudence requires diversification “unless the institution prudently1 determines that, because of special circumstances, the purposes of the fund are better served without diversification.” New York law adds the requirement that a decision not to diversify be reviewed as frequently as circumstances require, but at least annually. In addition, and again drawing on trust law, an institution must, within a reasonable time after property is received, make and implement decisions concerning the retention or disposition of the property or to rebalance a portfolio “in order to bring the institutional fund into compliance with the purposes, terms, and distribution requirements of the institution” and to meet the prescribed standard of conduct. The drafters of the uniform act indicated that a decision not to diversify must be based on the needs of the charity and not be solely for the benefit of the donor. They went on to state that “[a] decision to retain property in the hope of obtaining additional contributions from the same donor may be considered made for the benefit of the charity, but the appropriateness of that decision will depend on the circumstances.” Other special circumstances presumably would include a situation where a donated asset is so illiquid or so thinly traded that a disposition would likely yield less than fair market value. Guidance issued by the Charities Bureau of the New York State Office of the Attorney General in March 2011 (AG Guidance) does not address the circumstances under which non-diversification might be prudent. Under NYPMIFA, an institution may incur only those costs that are appropriate and reasonable in relation to the assets, the purposes of the institution, and the skills available to it. The statute also provides that the institution must make “a reasonable effort to verify facts relevant to the management and investment” of a fund. This duty to investigate is drawn from UPIA. In addition, within a reasonable time after property is received, an institution must make and implement decisions concerning the retention or disposition of the property or to rebalance a portfolio, “in order to bring the institutional fund into compliance with the purposes, terms, and distribution requirements of the institution” and to meet the prescribed standard of conduct. This provision of NYPMIFA also draws on UPIA. Investment decisions about an asset are not to be made in isolation but rather in the context of the institution’s whole portfolio of investments as part of an overall strategy that takes into consideration risk and return objectives appropriate to the institution. In this way, NYPMIFA makes it clear that an organization must look at its holdings comprehensively and manage them from a total perspective—a course of conduct well understood to be prudent long before the enactment of NYPMIFA or New York’s version of UPIA. Finally, NYPMIFA provides that a person who has special skills or expertise, or is selected in reliance upon the person’s representation that he or she has special skills or expertise, has a duty to use those skills in managing and investing institutional funds. This, too, is a concept drawn from UPIA, and hardly a fresh development in the responsibilities long assumed by many lawyers to apply to the board and committee members of not-for-profit corporations. As under prior law, delegation of investment responsibilities to an outside agent is permitted under NYPMIFA. However, NYPMIFA slightly updates the standard to resemble, again, the trust law standard found in UPIA. Under NYPMIFA, an institution must act in good faith, with the care that an ordinarily prudent person in a like position would exercise under similar circumstances, in: (a) selecting, continuing or terminating an agent, including assessing the agent’s independence including any conflicts of interest such agent has or may have; (b) establishing the scope and terms of the delegation, including the payment of compensation, consistent with the purposes of the institution and the institutional fund; and (c) monitoring the agent’s performance and compliance with the scope and terms of the delegation. Provided the delegation meets this standard, the board is relieved of liability for the acts of the agent. As noted before, the agent is held to the same standard of care as the institution when it comes to investment management decisions. As under prior law, a contract that delegates investment authority must be subject to termination by the institution upon not more than 60 days’ notice. Charities have raised some concern that this requirement might preclude private equity or hedge fund investments that cannot be readily liquidated. However, it appears that the 60-day termination requirement does not apply to private equity or hedge funds because those holdings are direct investments (i.e., ownership interests in an entity), rather than a delegation of authority to investment managers. Internal delegation of investment management functions to staff also continues to be permitted under NYPMIFA, although the Board must exercise prudence in making and continuing any such delegation. NYPMIFA requires each institution, whether or not it holds endowment funds, to adopt a written investment policy setting forth guidelines on investments and the delegation of management and investment functions in accord with NYPMIFA standards. This requirement is unique to New York and may present a compliance burden for many smaller organizations that lack an investment policy. It may also cause organizations that have investment policies to update them. For example, an organization may conclude that its investment policy should be updated because it does not mention certain NYPMIFA prudence factors or because it fails to encompass some category of assets that NYPMIFA treats as an institutional fund (e.g., cash reserves, operating accounts, and real property or tangible personal property held for investment rather than in furtherance of the organization’s mission). The AG Guidance suggests that an investment policy might address: (a) general investment objectives; (b) permitted and prohibited investments; (c) acceptable levels of risk; (d) asset allocation and diversification; (e) procedures for monitoring investment performance; (f) scope and terms of delegation of investment management functions; (g) the investment manager’s accountability; (h) procedures for selecting and evaluating external agents; (i) processes for reviewing investment policies and strategies; and (j) proxy voting. Organizations with only cash and cash-equivalent accounts are beginning to explore possible formats for a NYPMIFA-compliant investment policy. Such a policy might indicate how an organization selects the types of cash-equivalent investments it will use, how much cash it will have on deposit with a given bank (given the limits of FDIC insurance), and how it will allocate its resources between operational accounts and savings or investment accounts, so that the organization will have a process in place for shifting cash into savings or investment accounts when operating accounts are adequately funded. Neither NYPMIFA nor the AG Guidance indicates when an investment policy must be adopted, although the AG Guidance suggests that the board should review the policy at regular intervals. The greatest innovation of NYPMIFA (like UPMIFA) is to integrate the prudence standard for endowment investing and the prudence standard for endowment spending. With limited exceptions unique to New York, it is the exercise of prudence that now delineates between the portion of an endowment fund that may be spent each year and the portion that may not. The old demarcation between “historic dollar value,” on the one hand, and income and appreciation, on the other hand, has been largely eliminated. Although the next edition of Professional Notes will consider in detail the rules now applicable to endowment spending, it is worth noting here how many of the prudence factors for endowment spending are economic factors that, if relevant, also must be taken into account in the course of endowment investing. For example, in deciding how much may be prudently appropriated from an endowment fund, an institution governed by NYPMIFA must take into account, if relevant, general economic conditions, the possible effect of inflation or deflation, the expected total return from income and the appreciation of investments, the other resources of the organization, and the investment policy of the organization. These factors are essentially identical to factors that must be considered, if relevant, for purposes of the prudent investing analysis. As a result, prudence in endowment spending must operate in tandem with prudence in endowment investing. An institution needs to consider whether there is adequate integration of both (1) its process for budgeting and establishing the annual appropriations from its endowment funds and (2) its process for making investment decisions about its endowment funds. NYPMIFA’s more detailed standards provide a clearer roadmap than institutions have ever had concerning the considerations that should inform a prudent decision-making process about investments. NYPMIFA also may help boards and committees understand the nature and extent of their responsibilities and, we hope, improve the quality of the process for making investment-related decisions in organizations generally. However, the detailed standards also create traps for the unwary. In addition to taking steps to ensure the adequacy of investment policies and their proper implementation, organizations will want to review their procedures for documenting how investment decisions are made. Such documentation could take the form of more detailed minutes of meetings and more comprehensive reports by outside managers and staff to the investment committee or by the investment committee to the board of directors. Better documentation should ensure that there is a written record that will help demonstrate to regulators—and possibly even to judges—that the legal obligation of prudence was fulfilled. A slavish recitation of the elements set forth in NYPMIFA and the fact that they were considered should not be the goal of the documentation process. Minutes should capture the flavor of the discussion and analysis, and if investment decisions were influenced by considerations that are not specifically mentioned in NYPMIFA, those should be documented. Similarly, if NYPMIFA factors were deemed irrelevant to a decision, that, too, may need to be documented. In this regard, it is useful to recall that NYPMIFA does not eliminate the substantial body of case law in New York establishing that the “business judgment rule” applies to decisions made by the directors, committee members, and officers of not-for-profit corporations. Under this rule, a decision will be presumed prudent if the directors, officers, or committee members making the decision were not conflicted and acted on an informed basis, in good faith, and in the belief that the action was in the best interests of the corporation. In other words, New York courts generally refrain from second-guessing the prudence of a decision by a corporate body that was arrived at in accordance with a sound procedure for decision-making. With respect to investment management, a well-informed and internally transparent decision-making process, clearly defined roles, and careful documentation of meetings and decisions, will increase the likelihood that those overseeing an organization’s investment decisions receive the protection of the business judgment rule. The business judgment rule, of course, does not protect the abdication of duties, and even if the presumption of prudent conduct is established, the presumption can be rebutted. For example, it seems likely that an investment committee member with special investment skills will not be absolved of his duty to use those skills if there is evidence to suggest that an ill-informed decision by the committee might have been prevented if he had shared his skills with the committee. Just as the adoption of New York’s version of UPIA in 1995 prompted banks and other fiduciaries in New York to conduct a widespread re-evaluation of their investment procedures, so the enactment of NYPMIFA is provoking a similar reaction among the boards and investment committees of the State’s not-for-profit corporations. Some organizations may conduct a review and conclude that little or nothing really needs to change; other organizations may find that the new law is the wake-up call that has long been needed. What remains to be seen, and what we may never know except anecdotally, is whether this new law will change much of anything about the way nonprofit investment decisions are, in fact, made. By Jane L. Wilton, general counsel, The New York Community Trust, and John Sare of Patterson Belknap Webb & Tyler LLP.